COR-TEN steel vessel BC Designline "BASIC-CUBE"
Concrete planter poly "Rectangle individual"
Aluminium vessel Designline "Basic Cube"
Concrete planter poly "Bowl with seat ring"
Concrete planter poly "RECTANGLE XXL"
Welcome visitor! Would you like to sign in? Or would you like to create a new account, to have access to the prices for your individual inquiry? 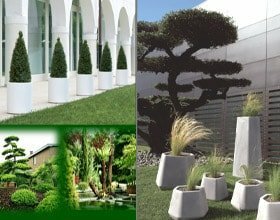 Green areas are an essencial foundation for our general well-being.BotanicGroup is the supplier of plants from all over the world, for our functional and modern environs where green is missing. All plants are trained and acclimatized in european greenhouses and internatial tree nurseries to present their new location in all his splendour. 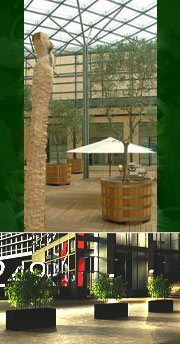 The plants of BotanicGroup show all their magnificent to municipal areas, shopping centres, hotels, condominiums, parks, winter gardens, privater green areas etc. Provided by our large sortiment, we can grant every wish of greening drafts. Green dreams come true with BotanicGroup whether traditional, exotic or futuristic. Make a certain request and you will receive your individual offer from BotanicGroup. "Green is not everything, but without the green, everything is nothing."